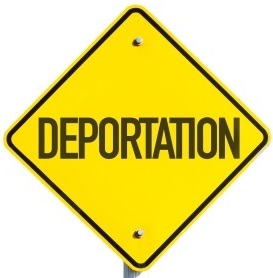 Although 1 in 5 residents of the US experience mental illness, for undocumented residents of the US and their loved ones, fear of deportation increases the likelihood of undocumented folks to experience trauma. Even the threat of a raid has a serious impact on the mental health of undocumented immigrants and refugees and their children. The American Psychiatrist Association produced a short documentary following the lives of three undocumented folks and the impact of their documentation status on their family. National Public Radio highlighted the impact of deportation of parents on the mental health of children in their June 22nd podcast. The stigma associated with mental illness compounds the problem. NAMI resources can make the difference for many undocumented folks and families with undocumented family members struggling with mental illness, says Modesta Pulido of NAMI South Bay, California. NAMI groups have inspired networks to expand into Mexico where similar groups are being formed. If you or someone you know is living with a mental illness, contact your local NAMI for more resources. In addition, NAMI classes provide certificates that can help undocumented families demonstrate in court that they have taken courses and are seeking help for their loved one’s mental illness. Such documentation may be helpful during immigration cases. Keeping services anonymous as well as hiring more recent immigrants on staff are two steps towards structural change. Of course, creating and respecting immigration laws are also important. Language Access. Title VI of the Civil Rights Act requires all programs that receive federal funds to provide resources and interpretation in your preferred language. If an organization refuses to provide services in your preferred language and receives federal funds, call the Office of Civil Rights at (800) 368-1019. Legal Aid. A mental health condition can be used as justification for granting documentation. If your loved one is going through deportation processing and has a mental illness, it is crucial that they advocate for their right to representation by a lawyer. For legal aid, call the NAMI Helpline at (800) 950-NAMI or the National Asylum Helpline at (612) 746-4674. For a list of resources in Spanish, go to WomensLaw.org. In A Mental Health Emergency. County-level mobile crisis teams often do not include police officers and are composed of mental health experts who will come to your location and can intervene during a mental health crisis. Health Insurance. Although federal Medicare programs bar undocumented immigrants from accessing healthcare, some local organizations like Puentes de Salud; the healthcare company, Kaiser Permanente; and state-federal Medicaid partnerships in states like California, offer insurance options. Find out more about the Medicaid process for undocumented folks HERE.